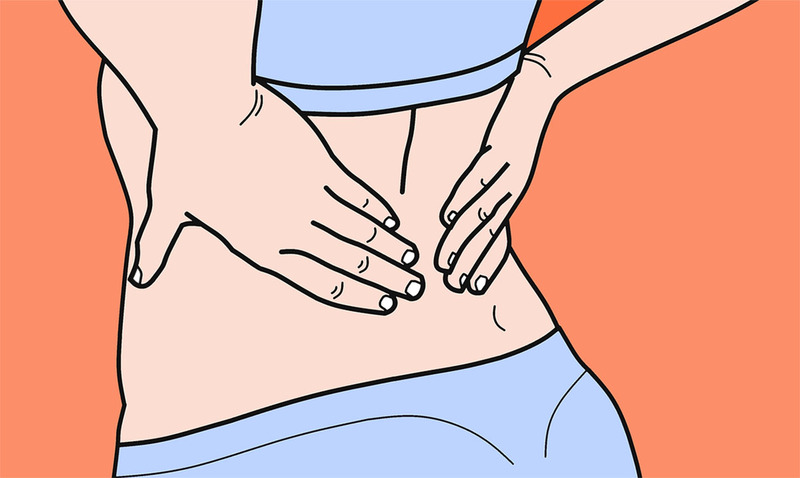 Back pain is something tons of people deal with each and every day. If you have ever experienced it you know how terrible it truly is. Sciatica is basically pain that radiates along the path of the sciatic nerve. This nerve branches from your lower back down through your hips and buttocks. Usually, the effects of this kind of thing only happen on one side but are quite terrible regardless. If you are dealing with back pain or sciatica issues then you have probably tried a few different things to find relief but not very many things actually work. There is no real proper treatment for these things and it only makes the problem all the worse. While the idea of garlic milk, in general, sounds disgusting it does help. This remedy helps because of the amazing properties surrounding garlic and all of the nutrients found in milk. Below I am going to go over each and let you know a few things about them. These are all the things that work together within this remedy to help reduce the pain of the person who is taking it. Garlic reduces inflammation and boosts immune function and you most likely know when it comes to sciatica pain and back pain inflammation is quite present. Garlic is one of the most beneficial herbs there are. It is an antiviral, antiparasitic, and antibacterial as well. It can also help reduce the risks of developing about 14 different kinds of cancers. Click here to learn more about the amazing benefits of garlic. Milk, of course, contains calcium, vitamins, and other things of the sort. It provides us with protein and many believe we should be drinking it often. However, pasteurized milk is not the best and does not have as many benefits as raw milk so if you can get access to raw milk, do so. Raw milk is basically milk that comes from grass-fed cows. It is unpasteurized and unhomogenized. This means it contains all of the natural enzymes, fatty acids, and other things of the sort that make it a complete food. Also, when it comes to raw milk the risks of consuming bacteria are very low please click here to learn more about that. Crush the garlic cloves and then place them in the milk in a pan on your stove. Bring this to a boil but make sure to keep the heat on low and monitor it the whole time. Stir the pot as often as possible so that you are able to prevent the milk from burning to the bottom of the pot. Once this has come to a boil take the mixture off the stove and let it cool. Add honey after things have finally cooled down and mix it a bit. After you have done these things pour it into a glass and drink up. I know, it isn’t the yummiest but it will make a difference, do this once a day and be careful as garlic can be a natural blood thinner if used or ingested too much.